The original property was purchased in 1972 by a group of friends and they started planting the vineyard in 1973. 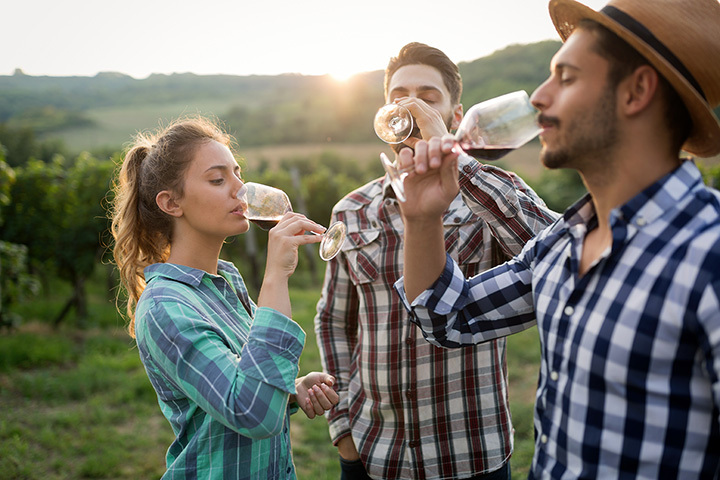 With few other vineyards in the area to learn from, the vineyard was originally planted with numerous varieties such as Cabernet Sauvignon, Merlot, Zinfandel, Riesling, Pinot Noir, Sauvignon Blanc, Chenin Blanc, Grenache, Chardonnay, and Syrah to see what would work. As the vineyard came into production, a winery was built on the property in 1978 and later expanded in 1981. 1978 was another milestone for Zaca Mesa, planting the first Syrah in Santa Barbara County. By the early-1990's, we had determined based on our farming experience that the RhÃ´ne varieties (Syrah, Grenache, MourvÃ¨dre, Viognier, and Roussanne) grew best on our property. As one of the pioneers in the Santa Barbara County, Zaca Mesa was a training ground for many. Ken Brown was our first winemaker and later started Byron in Santa Maria Valley. Adam Tolmach, Jim Clendenen and Bob Lindquist worked at Zaca Mesa before venturing out on their own to start Ojai, Au Bon Climat and QupÃ©, respectively. Zaca Mesa was the first Central Coast winery to appear in Wine Spectator's Top 10 back in 1995. A year later, our Syrah was served by President Clinton to French President Jacque Chirac at a White House State Dinner. To show that we are not leaning one direction, our wines were also served at President Reagan's 80th birthday party at the Beverly Hilton. Since 1997, we have focused on growing the best Syrah, Viognier, and other RhÃ´ne varieties. We have ripped up over half the original vines, replacing them with high-density planting of new rootstock and clone combinations that has significantly improved our quality. We now have 10 clones of syrah and the most high density vineyard acres in the county. Over time the ownership group diminished to one of the original partners. Zaca Mesa has been family owned for over 25 years.